The family of Solstice® products provides an environmentally preferable alternative to hydrofluorocarbons, which have historically been used in a variety of applications, including stationary and mobile refrigerants, liquid and gaseous blowing agents, solvents, and propellants. 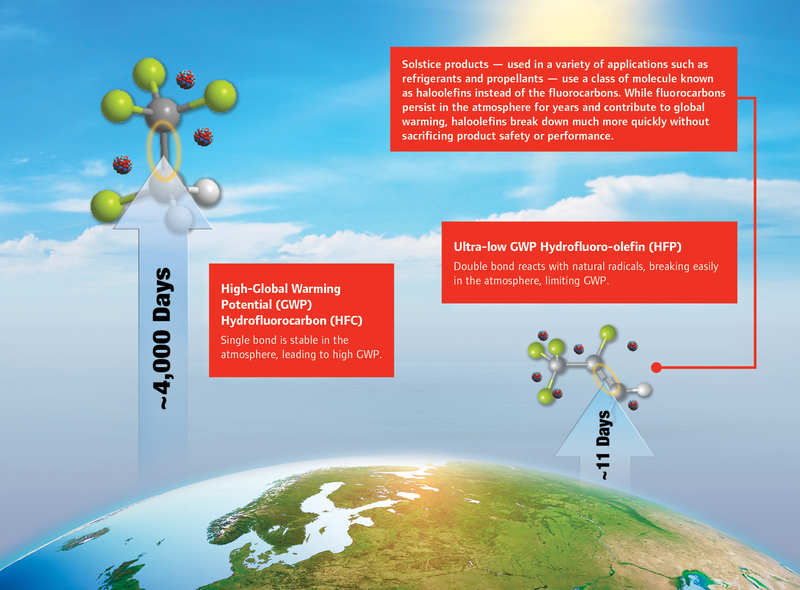 This new generation of molecules breaks down faster in the atmosphere, allowing customers to have a lower impact on global warming without sacrificing the performance of their end products. While the prior generation of fluorocarbons had exceptional performance attributes, they tended to persist in the atmosphere for years before the natural degradation process eliminated them from the ecosystem. 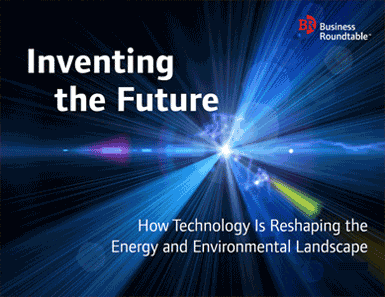 This atmospheric persistence contributed to the molecules’ global warming potential and prompted scientists to search for environmentally preferable alternatives. After intensive testing, researchers identified fluorinated olefins as the best alternative. Though the materials were previously known, many experts did not consider them viable substitutes for fluorocarbons, given their perceived reactivity and instability. However, research revealed that the carbon-carbon double bond present in the molecular structure of the materials allows them to break down faster in the atmosphere without sacrificing any safety or performance properties of the end product. These new materials, known as haloolefins, are currently being brought to commercialization in the Solstice family of products. Some of the specific products include Solstice Liquid Blowing Agent (LBA) for the foam industry, Solstice zd for the commercial refrigeration industry, Solstice Performance Fluid for the solvent industry and Solstice yf for automobile air conditioning. 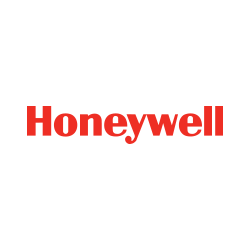 Improved environmental performance: Honeywell projects that use of its low-global warming potential Solstice hydrofluorocarbon replacements will eliminate more than 350 million metric tons in carbon dioxide equivalents by 2025, equivalent to removing 70 million cars from the road for one year. Increased efficiency: When Solstice LBA is used in place of HFC-245fa, a hydrofluorocarbon widely used as a blowing agent for appliance insulation, in a domestic refrigerator, the energy efficiency of the refrigerator improves by as much as 4 percent.